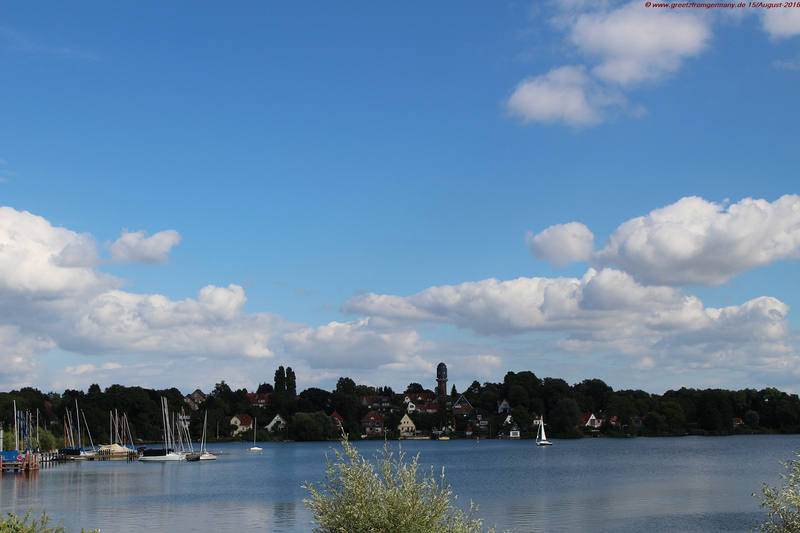 Leaving the somewhat smallish Trave river and the historically and economically sizeable Hanse town Lübeck behind, the houses get smaller and less massive, standing modestly back behind the increasingly mighty display of landscape. And of the blogger’s beloved element, water. 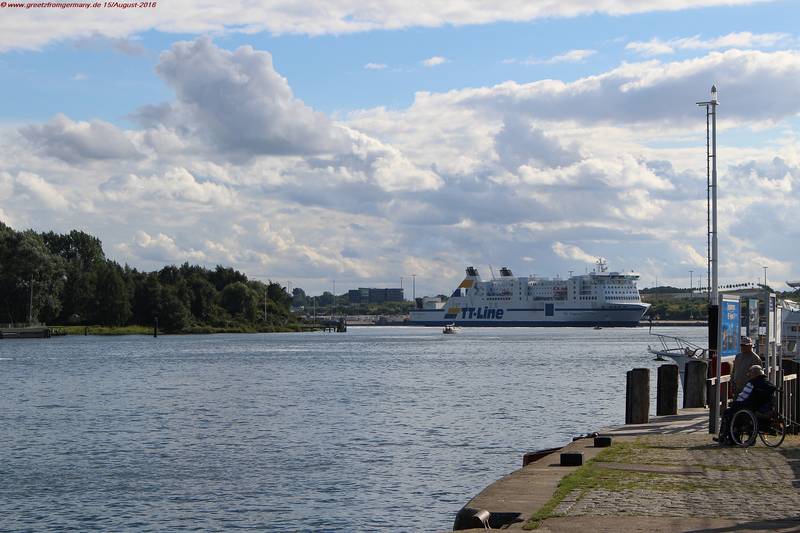 In Travemünde, big and small meet: River Trave meets the Baltic Sea, and the small boats that accompanied the blogger along the Trave canal better get out of the way of huge cruise ships. Religious and mundane Lords did, of course, still get adequately huge buildings for the profanes to worship them in, even (or maybe: especially?) in the smaller towns and settlements. 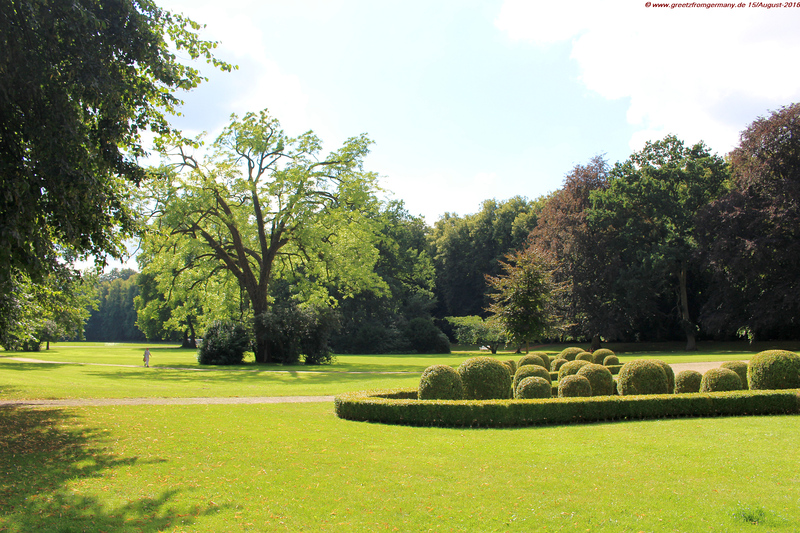 Eutin castle with its beautiful landscape gardens, especially nicely decked out for the State Garden Show. 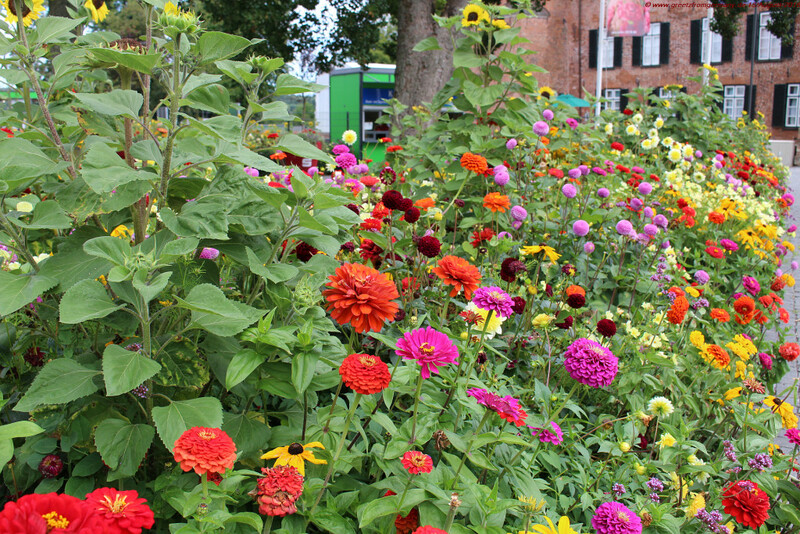 Bouquet flower beds greet the State Garden Show visitors with stunning colors and odors as sweet as they are subtle. 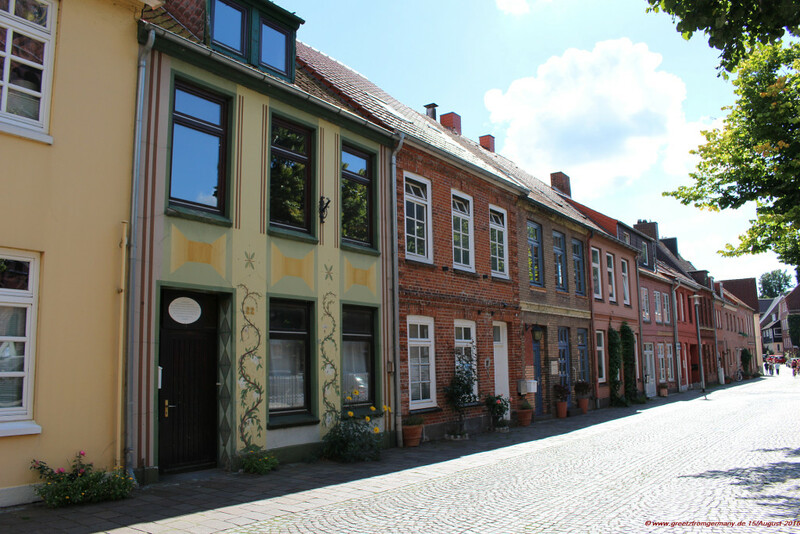 Plön’s castle, e.g., is one of the biggest ones in all of Schleswig-Holstein. 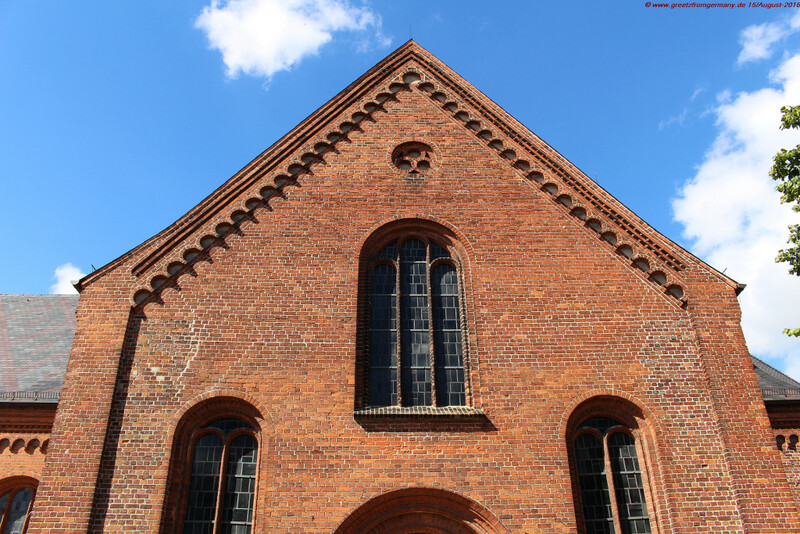 It has been built as long ago as during the times of Thirty Years’ War in the first half of the 17th century. Nikolai church was built and re-built many times, the last time in the 19th century, after it was almost completely destroyed by fire. Only hours after a huge thunder storm, the church’s tower shoot up flames and the fire then raced in such a way that there was no chance to put it out. 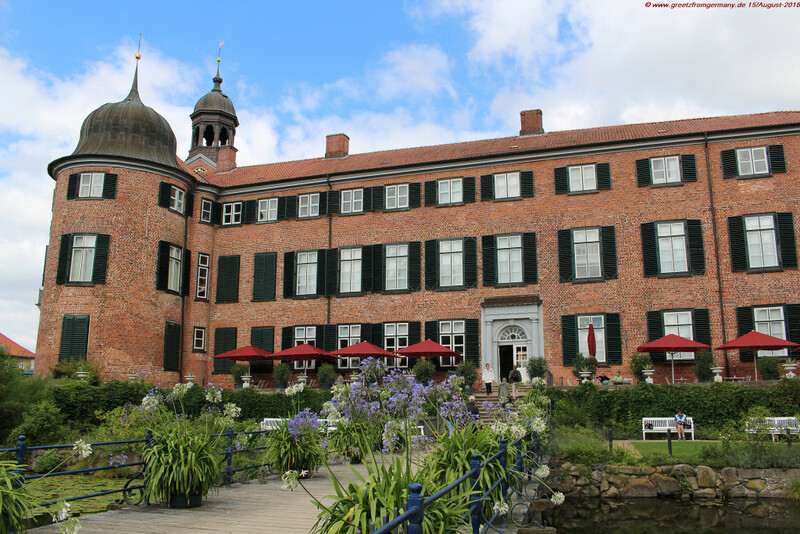 The re-building fell into the same ear in which the huge parks of Plön castle were re-modelled into landscape parks, true to English examples of the time, and opened to the public, all a reflection of the declining social role (and pwoer) of clergy and nobility. Shortly after, the garden was designed and planted, initially even featuring a vineyard (which most likely did not produce anything of quality, due to the rather non vine-friendly climate). So, no loss when it was replaced by the baroque garden which was installed in the 18th century, as was the fashion of the time. But it is hard to go with any fashion, if you do not have the build for it (short skirts and crooked legs … not a good idea either, for instance). So, baroque gardens which need a central focus element and long axes towards and from that element … difficult thing if the castle is located on the top of a little hill, as is the case in Plön. 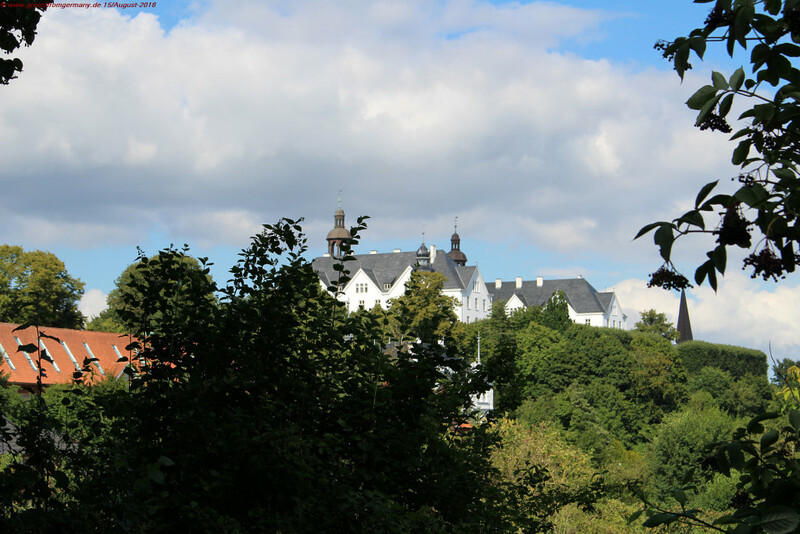 Although Plön castles is located on top of a little hill, it is barely visible through the dense green of old majestic trees. Good there was sufficient space still behind the stables and the riding area. Put up a little artefact as the new center (here: the so-called Maison de Plaisance pavilion), and you have all you need for a baroque garden. Which was not tended to very well when the blue-blooded owners moved out. Which, in a way, was a blessing as this made it even more natural (if a garden can ever be natural, that is) to cater to yet another fashion, now that of the British-style Landscape gardens (or rather: parks) that had come into fashion in the 19th century. The garden / park was also opened to the public – and still is, delightfully enough. 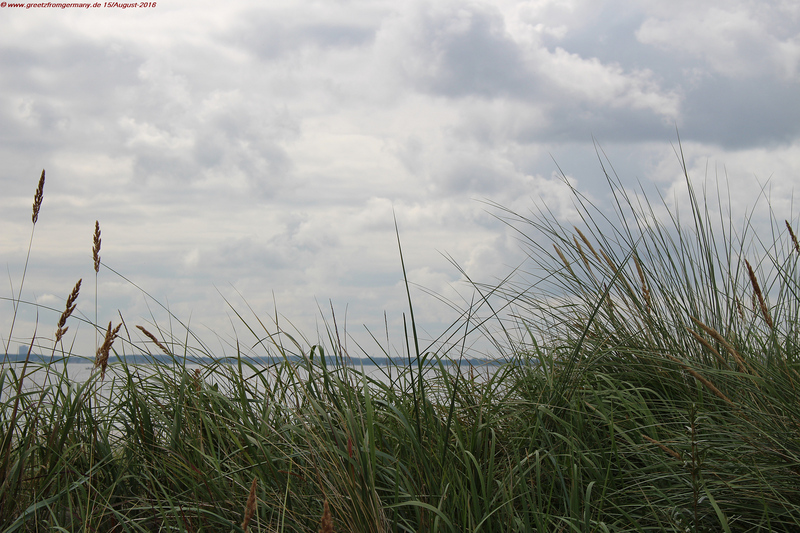 With that, Plön is a remarkable example of how nature and human artefact, rich and common man, land and sea (which is actually a lake in case of Plön) can live in very relaxed and harmonic co-existence. And in this calm stillness, today’s food for thought can be digested well, in realization of the deeper meaning behind.